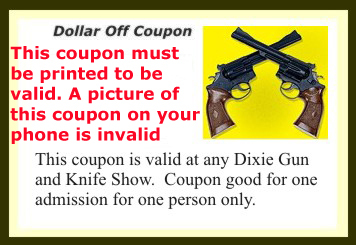 The Dixie Charlotte Gun & Knife Show will be held next on Aug 17th-18th, 2019 with additional shows on Oct 19th-20th, 2019, and Dec 7th-8th, 2019 in Charlotte, NC. This Charlotte gun show is held at Park Expo and hosted by Dixie Gun & Knife Show Classic. All federal, state and local firearm ordinances and laws must be obeyed. One of North Carolina's largest Gun and Knife Shows with a large selection of antique, modern, military and sporting guns. Hunting and outdoor recreational equipment. Come on out to buy, sell or trade! Great place… good people …for the people who say bad things about this event..take your asses back up north…we don’t want you here to complain…. Best gun show in NC. Dixie shows are the best.